Honey benefits heath in more ways than one. The world’s oldest medicine, honey is blessed with excellent healing qualities. A product of the hardworking bee, honey has been widely in use for beauty, healing, nutrition, and skin care. While refined sugar is dangerous to health in innumerable ways, nature has blessed us with this amazingly sweet yet safer alternative to processed sugar! However, please remember to buy only raw, organic honey to reap maximum benefits. Hippocrates, renowned as the father of medicine, believed that honey made a great natural remedy for several ills, calling it the great golden healer. Roman lesions used honey as a topical treatment to heal their wounds, while in Egypt, honey was surprisingly used as a form of currency. 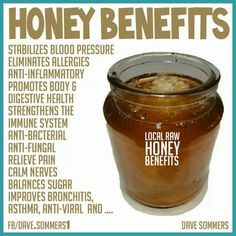 Honey does make a great sugar substitute. So if you are planning to get your sugar intake under control, you can replace refined sugar with honey in most recipes. I have come up with some recipes that taste great even with the addition of honey. Try almond butter kulfi, which does not use cream or sugar, but does make a lip-smacking delight. Strange it might sound, but true. Honey is a good natural source of carbohydrates that not only boosts energy, but also provides strength to your body. So if you wonder whether you should be taking those energy boosters, think again. Honey offers a great natural substitute, thanks to its effectiveness in reducing muscle fatigue and instantly boosting performance and stamina. You won’t feel fatigued during physical activity if you take a tablespoon before leaving for your workout. Honey contains glucose that is absorbed quickly and gives an instant boost to your energy levels. Not only this, honey is also known to keep blood glucose levels constant as opposed to other types of sugar. With its antioxidant and anti-bacterial properties, honey works great in improving the digestive system. Rich in vitamins and minerals, raw, unheated, and organic honey boosts the immune system and protects your body from bacteria. You would be surprised to know that honey is one of the most effective remedies for cold and flu symptoms, including sore throat, cough, and congestion. A spoon a day taken with warm water gives a magical boost to your immune system. For an extra boost, do not forget to add cinnamon powder and lemon juice to the warm water and honey mixture. This excellent cleansing tonic is just the right way to start your day in order to stay healthy and ward off any disease. 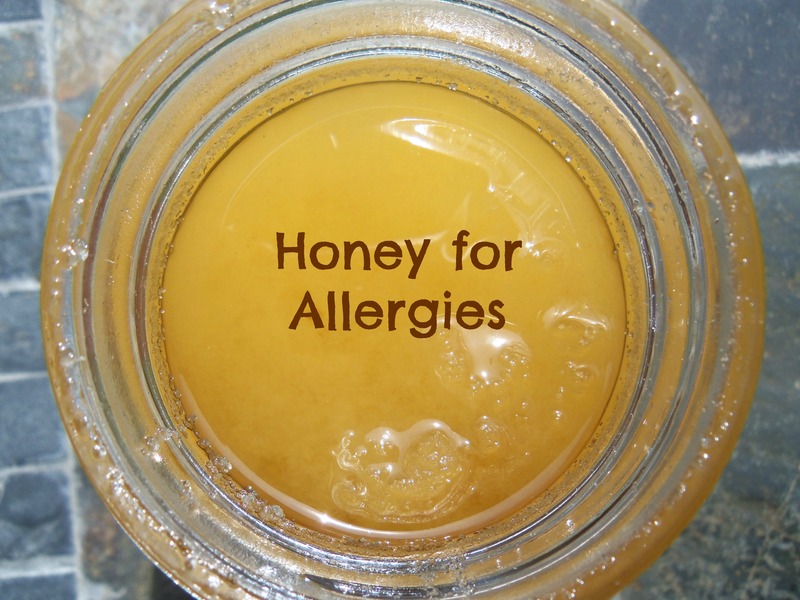 Honey contains a range of pollen spores that are known to cause allergy. By taking honey regularly in small doses, the body becomes accustomed to them, thus reducing the risk of immune system response to the pollens. Now you must be wondering whether directly ingesting these pollen spores causes any allergic reaction. Well, the answer is NO - since there is low concentration of pollen spores in honey, no trigger symptoms are reported in a person despite the production of antibodies in the body. This means, you won't experience any allergic reaction. · Sore throat: Honey is an effective remedy for sore throat, thanks to its anti-microbial properties. It kills certain bacteria that are known to cause infections. This is one health benefit of honey that has proved quite helpful in treating my sore throat. Whenever I feel the first symptoms of cough, I start taking a tablespoon of honey with warm water. I take this simple concoction every 2-3 hours and experience relief from itching and sore throat. Cuts and burns: As an antiseptic, honey inhibits the growth of certain bacteria. Not only this, honey has long been used as a first aid treatment for burns, cuts, and wounds, helping keep external wounds clean and prevent infection. It works by absorbing moisture from air and promotes healing. As an anti-inflammatory agent, honey reduces pain, swelling, and scarring. So the next time you hurt yourself, use honey as an external wound dressing aid. · Weight loss: Health benefits of honey also include its effectiveness in flushing fat from the body. The concoction of lemon, honey, and warm water is a big detoxifier, which removes toxins and detoxifies the lover. · Digestion: As a probiotic, honey has a laxative effect that keeps the digestive and immune system health and helps fight bloating and constipation. Try consuming tea with lemon to aid in digestion. Take 1 to 2 teaspoons on an empty stomach before meal three times a day to treat ulcers and assist in healing. Healthy skin: Honey benefits skin in several ways. It works as a great moisturizer, locking in moisture. If you suffer from dry skin, a regular application honey blended with turmeric on your skin will leave your skin soft and fresh. As an antibacterial aid, honey works great for acne. Despite so many health benefits of honey, experts advise against the use of honey for infants and pregnant women. Experts claim that it is not safe for pregnant women due to the pollen in it. Infants below 12 months of age might face severe allergy reactions when given a dose of raw honey.